Good Morning Sweet friends!! 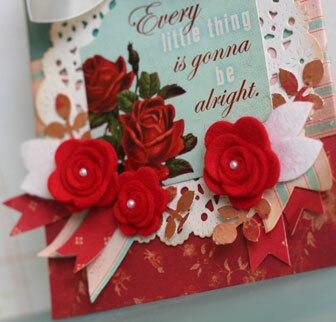 It's time for another Glitz Design Blog Post and I'm very excited to share some red and teal goodness with you!!! 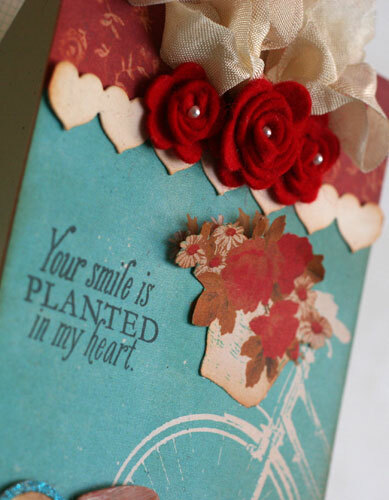 Glitz Design Happy Travels papers are so pretty and I've been dying to make a couple of projects using the sweet bicycle and basket from the set!! 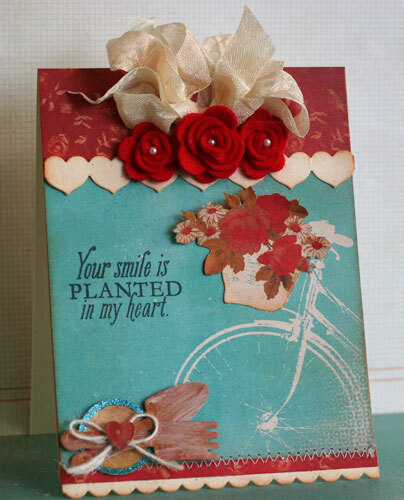 I plan on making some wall art using the 12x12 Bicycle Paper very soon, but in the meantime, here's a card using the 6x6 Bicycle Paper!! 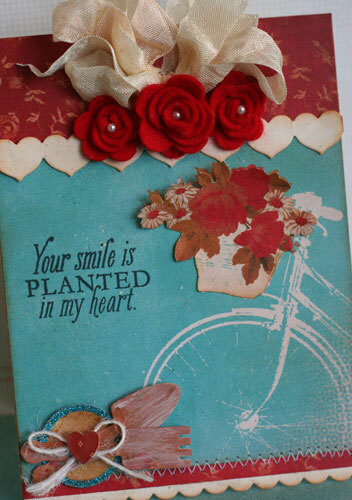 I added some hand rolled felt flowers, ribbon and a heart border to enhance the bicycle image which I love so much! I kept the bicycle intact on the main panel, but I fussy cut the basket and florals from another piece of 6x6 paper and glued it over the top of the basket on the main panel. I allowed the top edge of the basket and florals to curl to add dimension. I die cut a couple of yard tools out of chipboard and covered them with patterned paper. I painted the tools with a little Tim Holtz Fresh Snow Dauber to age the tools a bit. I took the heart off the sticker and glued the tools on top then added some button twine and placed the heart back on top of the embellishment. 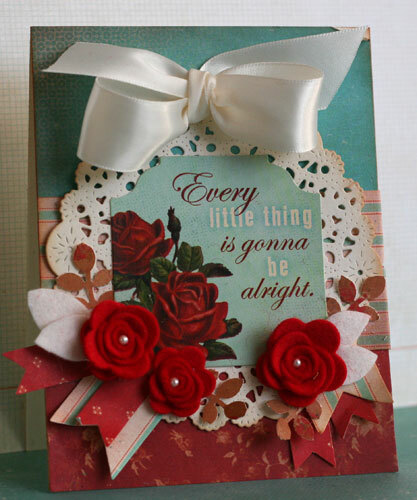 I layered the sticker over a doily and added some hand rolled roses, leaves and banners to embellish. This will make a great encouragement card!! 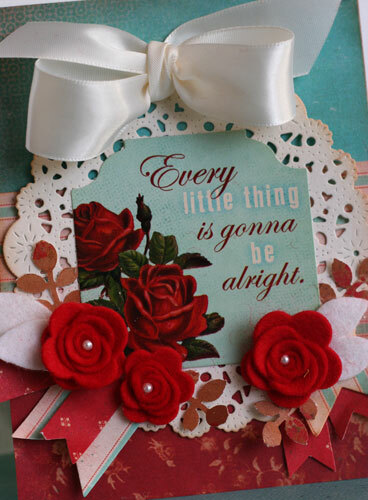 I just love the saying and the roses are absolutely gorgeous!! Wishing you a Glitz Day!! We do large orders too for large groups or companies Licensed nurse practitioners are always in demand and they also enjoy ample promotional scopes and other sops as well. They just want to fill the position. You can also search for other opportunities to get registered nurse scholarships by getting education online. This means that if we expect quality healthcare from our nurses, then nurses must be satisfied with their jobs.